We’ve all seen those businesses that show up on Google Maps. Creating an optimized Google My Business Profile is the key to getting your business to show effectively on Google Maps. Google My Business is more important than ever for small businesses to get found in a local search and get ratings from customers. Google My Business connects you directly with customers, whether they’re looking for you on Search, Maps or Google+. Also known as Google Places, Google My Business makes it easier for customers to find information about your business online, including hours of operation, contact information and directions – all across multiple devices. 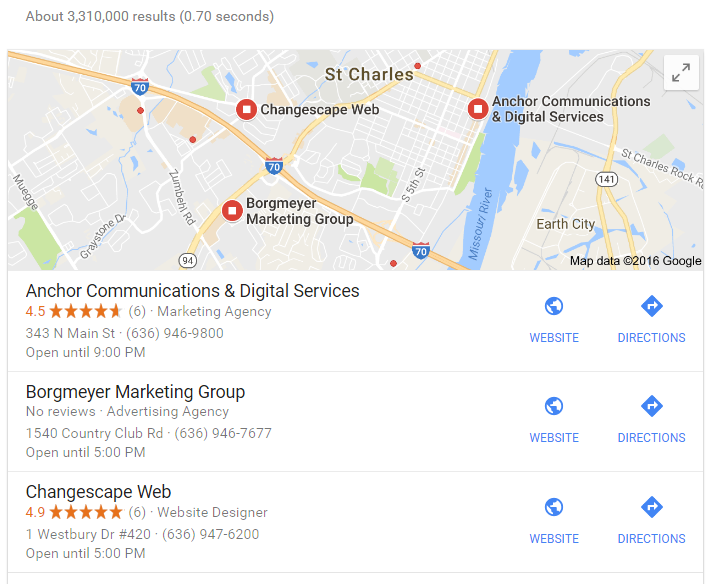 A local search is when someone adds a location to the search term – such as “online marketing St. Charles”. When users search for your product or service, the local search listings are the ones that dominate. In most cases, these local listings will be accompanied by markers for the lucky few, along with their addresses and phone numbers. Google also displays a map that points to each business highlighted in the actual search list. See below for an example. Google has a small number of local directories it trusts, pulling publicly available data from these sources to use in its search results algorithm. These directories are the ones you’d expect – Yelp, Trip Advisor, Citysearch – but also some smaller, high quality sites. Your presence on these other sites signals to Google that your business is an active member of its local community. And so, while creating a listing directly on Google My Business is imperative if you want to rank highly in the local search results, creating a listing on all the other directories related to your business focus is also very important. One key aspect to this strategy is that you should always list the exact same business information – business name, address, phone number (commonly referred to as NAP), hours, and to a lesser degree, business description. Doing so assures Google that your business is consistent and stable on all platforms. As well-optimized as your website may be, you need to also realize that the purpose of Google’s local search results are to help people find businesses that are near them. For example, if you’re, a dentist in Maryland Heights who would like to get business from people in Wentzville, don’t expect an easy time of it from Google. In fact, the closer to the searcher you are, the more favor you curry with this component of Google’s local search algorithm. Much like the content on your website and blog, the information you use for Google My Business can be optimized. 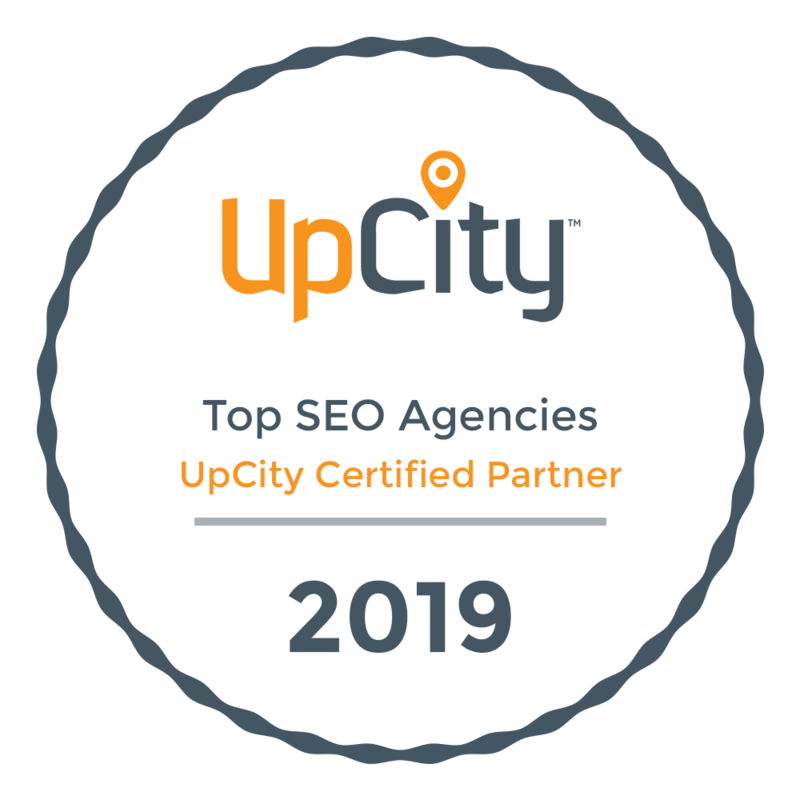 By keeping the information consistent across this page, as well as on other third party directory listings, your site will be recognized as an even more reputable business, which will pay off in terms of traffic and search engine rankings. Get a free search rank report. The team at Changescape Web are experts in optimizing Google My Business pages, and we also provide Google 360 interior and exterior photospheres which are great for local SEO! Want to see how your business is doing in Google My Business. Complete the Competitive Search Rank Report request on our website and we will create the report for you.